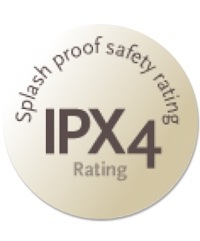 Well, starting with the description of it, an IP rating stands for Ingress Protection, sometimes referred to as International Protection as well. In easy terms, it’s a rating that states how protected the gear is against water or dust getting into the casing of the gear, or how resistant it is to impacts. Generally speaking, the higher the number equals better protection.